So, all the E3 conferences have passed and what have we gotten out of it? Quite a few things really but oftentimes, what gets me excited is announcements of new features rather than games. Even further, if a game is already announced and has been shown off before, all I want at most is a release date. I’m usually already convinced by what some specific developers put out and any more information on the game therefore becomes an undesired spoiler. In this case, the one feature that really stood out to me is the openness of Nintendo and Microsoft to enable Crossplay on their platforms. This precedent has now been set with both Minecraft and Rocket League and is a promise for the future to come. While it is quite annoying that Sony has decided to opt out of Crossplay, it is kind of expected. Taking just one look at the Hardware sales on VgChartz it is clear that Sony has the largest install base of them all. This means, if you want to play games with your friends who game on the Playstation, who have to buy one yourself and Sony is unwilling to lose that advantage. Microsoft has been putting out a plethora of consumer-friendly moves since the desaster of the Xbox One launch. A console that was more expensive than the competitor’s offer but also less capable in the graphics departement was enough to push a majority of people towards Sony’s side. With the too early promotion of digital media and the limited freedom of preowned games the deal was sealed, the Playstation now is selling 2 to 1 versus the Xbox One. Unfortunately for us, competition is a good thing and with Xbox taking a major beating they started trying really hard to get back into the race. Dropping the Kinect, releasing their games on PC, Xbox 360 Backwards Compatibility, Refunds and now Original Xbox Backwards compatibility and Crossplay with other platforms, it is clear that Microsoft is going a very pro-consumer route that deserves to be rewarded. Both Microsoft and Nintendo are on board with cross-platform play and in another great announcement, inifinite worlds are coming to both Xbox One and Nintendo Switch on Minecraft. These are very significant news as it signals that both of the companies are loosening up on their policies, which will allow developers to create their games the way they want them to. This makes it a bigger shame that Sony is opting out of crossplay but also hypocritical considering their stance during the PS3 era. During that time, the Xbox 360 was the dominant console and Sony was promoting openness to crossplay, since it obviously benefitted them during that time. Now that the tables have turned, Sony is refusing crossplay. It is very similar to many political parties who complain about a district-based voting system. Once they actually end up benefitting from it by getting a majority of seats with a minority of votes, they oftentimes remain silent, to the dismay of many voters. In an interview with Eurogamer, Sony spokesperson Jim Ryan has stated that the move is made “to protect” the younger audience of Minecraft from the influences of other platforms. The interviewer was very dissatisfied by the answer and asked why even Nintendo, a company very keen on projecting a family-friendly image, would be fine with cross-platform play but not Sony. It seems very clear to me that Sony simply wants to maintain their business advantage but this would of course sound bad if you just outright say so. Overall, let’s hope Sony avoids moving further into the direction Nintendo was at during the Wii days. 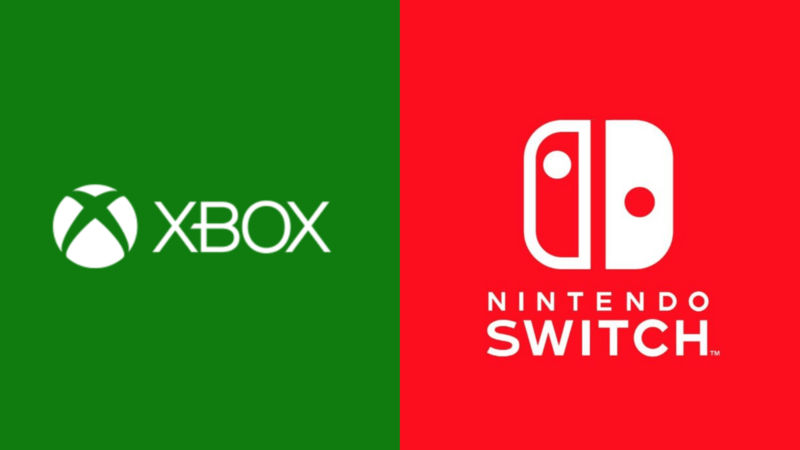 Now, as the Nintendo Switch is getting more and more games, many of those will become Crossplay with the Xbox One and each time it happens it will be mentioned in the news and each time people will be disgruntled with Sony. Will this eventually be enough for Sony to be convinced of opening up the crossplay policy? I and many other people too would greatly appreciate it. There are many niche games with small online communities out there and crossplay would enable these communities to continue existing in the future by supplying a decent player pool to play with for a long time. Crossplay was definitely the biggest announcement for me this E3 and I’m looking forward for things to come. 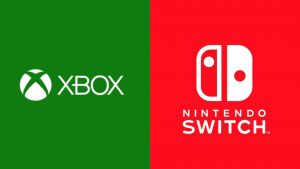 Maybe Nintendo and Microsoft will enable Cross-platform parties too, which would be quite tricky to implement but exciting nevertheless. I hope you got something you wanted out of this E3. Let me know what your thoughts are and write it down in the comments below. All in all, take care and hope to see you around. PS: The team and I have recently decided to focus more on thoughtful blog posts rather than attempting to chase any and all news to put on this site. With our current limitations, we are unable to compete on that front anyways, so we’re looking to go for quality over quantity. Make sure to give us all the feedback you can, we appreciate all of it!